The task is THE NEW ARCHITECTURE AND DESIGN MUSEUM in Helsinki. What is a museum? What is museum architecture? What is museum architecture for architecture and design? What can be the relationship of a museum and its site? The museum should speak widely to different groups of visitors. According to the report, it would also play an important role as a data bank for architecture and design, a learning environment and a visitor attraction and inspire societal discussion. The study course will be accomplished parallel to a similar study course at Tampere University, Department of Architecture, led by prof. Fernando Nieto and univ. teacher Jenni Poutanen there. 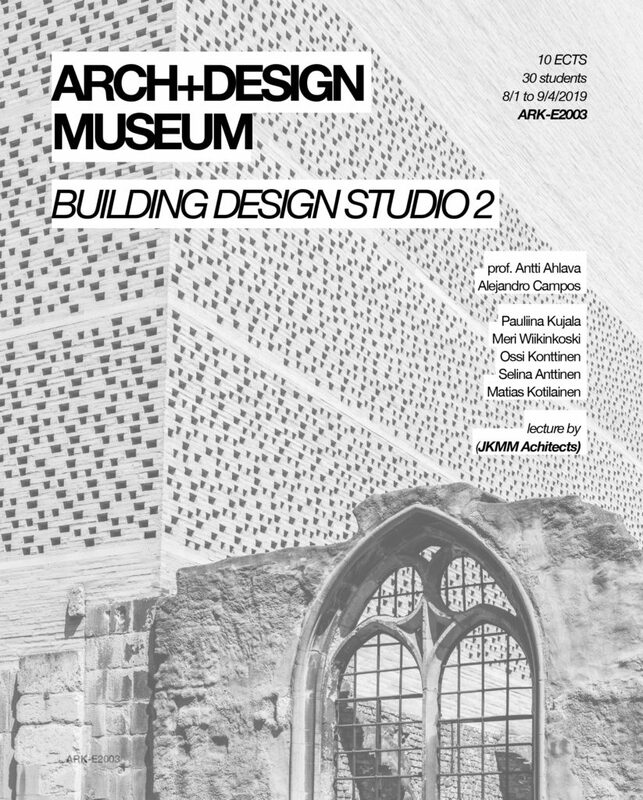 A museum as a cultural agent can express its activities in different manners and it is the task of the students on this study course to explore those possibilities with architectural tools. 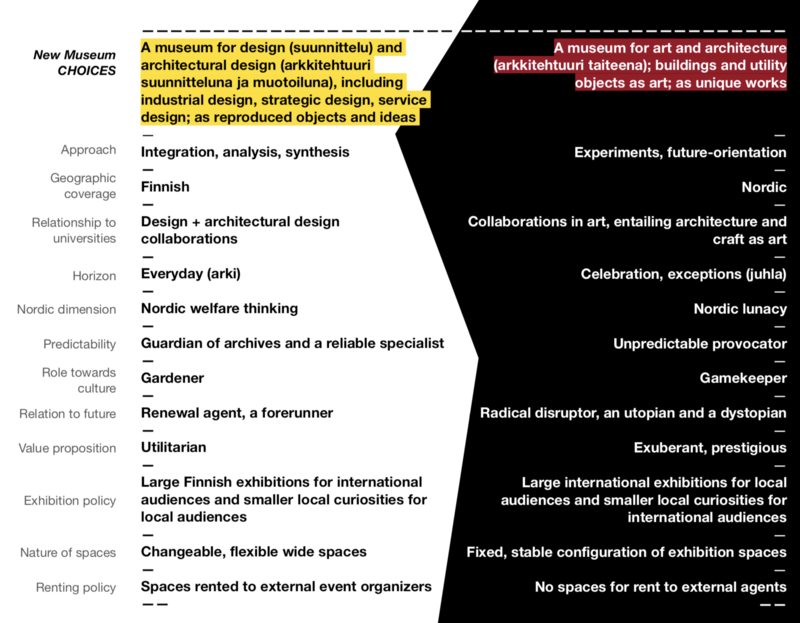 The following table is an attempt to list variables essential to two different perspectives in architecture and design for a museum. The alternatives have been listed here without any selection or recommendation pointing to an optimal solution in this case. This type of comparison can support the creation of a strategically distinct profiles of the museums in different student works. It might be stated a museum should just be an empty envelope, which can display and support all sorts of approaches without clear own strategy or selection. A museum should become an active agent in culture.